This page demonstrates what a POP Ocean Model grid looks like. 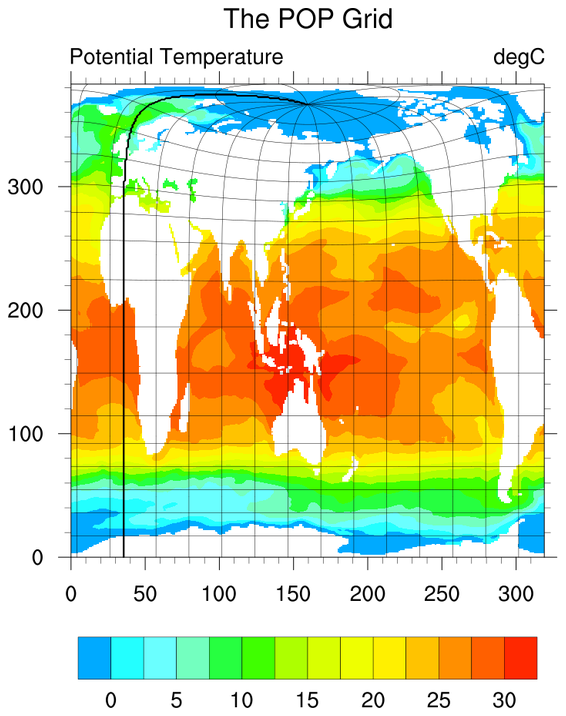 This plot uses overlay to put contours of both latitude and longitude on the plot. This technique will only work with grids that have 2D lat/lon coordinates.